Open a world map. Chances are it carves the world into a multi-colored jigsaw of national territories. We’re used to thinking of the contemporary international order as composed of regular nation-states. But what happens if we imagine a different map—one made up of irregular, overlapping, and contested claims, not just to territories, but to languages and peoples as well? A cartography of international disorder would emerge. For starters, the large landmass conventionally thought of as Australia would be overlaid with the black, yellow, and red flag of the Aboriginal Provisional Government (APG). The APG claims Aborigines never ceded sovereignty over Australia; that they “are and always have been a sovereign people.” The APG has enacted Aboriginal sovereignty by issuing birth certificates and Aboriginal passports (which have been accepted in Libya, Norway, Switzerland, and the Mohawk nation), and sending diplomatic delegations overseas. Just off the coast of Australia, a small set of mostly uninhabited islands and reefs would feature the rainbow coloring of the Gay and Lesbian Kingdom of the Coral Sea Islands. In 2004, the Kingdom’s soon-to-be Emperor, Dale Parker Anderson, raised the rainbow flag on one of the islands, claiming them “as homeland for the gay and lesbian peoples of the world.” The Kingdom has adopted the rainbow pride flag as its official ensign, the Euro as its official currency, and issued its own stamps. And what about the territory beyond Earth? Zoom out and you would see the proposed Space Kingdom of Asgardia. Its Head of Nation, Russian-Azerbaijani scientist and businessman Igor Ashurbeyli, plans to create a new nation in outer space, with orbiting satellites serving as the space nation’s initial capital. We might be tempted to dismiss these claims to sovereignty as oddities of the contemporary world. Not so, according to Steven Press’ new book, Rogue Empires: Contracts and Conmen in Europe’s Scramble for Africa (Harvard University Press, 2017). In Rogue Empires, Press offers a pre-history to these claims to sovereignty, taking his readers back to a time in the mid-nineteenth century when empires across South Asia and Africa were started and governed by companies and adventurers. Many of these individuals were what Press deems “disreputable types”: men like James Brooke, a British East India Company veteran who, by agreement with the Sultan of Brunei, became rajah of Sarawak on the island of Borneo in 1841. 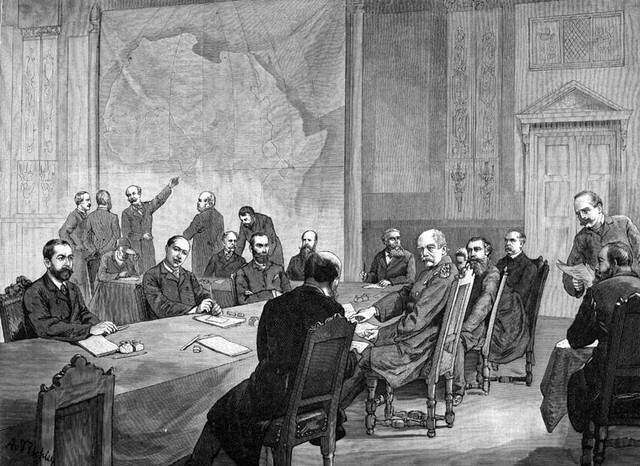 In Press’ telling, the ventures of private actors like Brooke culminated in the Berlin Conference of 1884–1885, where Belgium’s King Leopold and the German Chancellor Otto von Bismarck extended the imprimatur of European legitimacy to these “rogue empires.” The European powers would later rely on these private entities as precedents for establishing and extending colonies in Niger, South Africa, the Congo, Namibia, Cameroon, and beyond.